The Comox Valley on Vancouver Island is facing a long list of challenges as more frequent and intense winter storms and summer droughts overwhelm engineered infrastructure and natural systems. In March 2017, the stewardship sector hosted a transformational event, the Comox Valley Eco-Asset Symposium. Sponsored by the four local governments, the theme for this ‘watershed moment’ was Discovering Nature’s Infrastructure Potential. 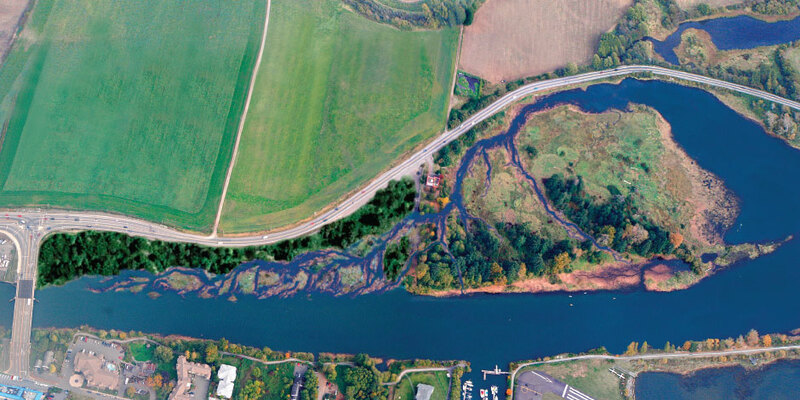 The excitement and energy generated by the Symposium has helped to move forward the long-term vision for transforming a decommissioned sawmill site on the Courtenay River into a valuable habitat corridor that could also transform the city’s most troublesome flood liabilities into an eco-asset corridor for the whole community. A historic milestone in reconciliation and intergovernmental relations has taken place in the Comox Valley. This month a First Nation, a municipality and an environmental non-profit signed a Memorandum of Understanding (MOU) to collaboratively purchase, restore and manage a key property in the heart of their community. The three signatories, the K’ómoks First Nation, the City of Courtenay and Comox Valley Project Watershed Society are working together with Interfor Corporation, the current owners of the property, to acquire and then restore the former Field Sawmill site to natural habitat. The site has been renamed Kus-kus-sum. For more information on the project visit www.kuskussum.ca. The Field Sawmill was once the economic heart of the Comox Valley. It employed hundreds of people directly, and was the centrepiece of the local forest industry. Since 2006, Kus-kus-sum has remained as 8.3 acres of vacant cement along a critical salmon migration corridor in the heart of the Comox Valley. “Estuaries have long been the location of choice for coastal BC’s saw and pulp mills. Hindsight is 20/20. By the 1980s many of BC’s coastal communities were waking up to the fact that salmon populations, herring, and waterbirds were in decline to over- industrialization of many of the province’s most important estuaries,” states Tim Ennis, Executive Director of the Comox Valley Land Trust, in providing an historical context. The Comox Valley Project Watershed Society and the K’ómoks First Nation share a dream for the future of the Field Sawmill site. Known to the K’ómoks people as “Kus-kus-sum”, the property holds deep significance. The City of Courtenay has similarly embraced the restoration dream. As part of the Kómoks Estuary, the restored area at Kus-kus-sum would provide fish and wildlife habitat, help mitigate climate change, buffer against sea level rise, attenuate localized flooding, become a culturally significant landmark and provide educational and recreational opportunities. The restored habitat would be particularly beneficial for young salmon, which require a place to escape high river flows, predation by seals, and holding areas to allow for forage, growth, and acclimatization to increasing salinities before their marine migration. 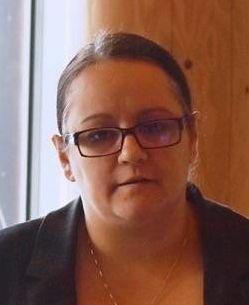 “K’ómoks First Nation believes in partnerships, particularly when partnerships involve like-minded groups that share similar vision. 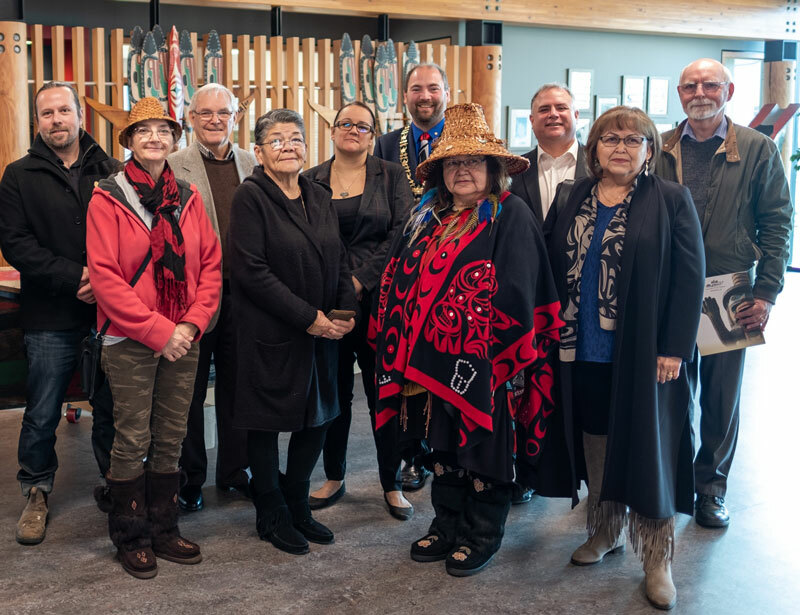 It is in this spirit that we are happy to sign this collaborative agreement with the City of Courtenay and Project Watershed on behalf of our membership for the management and restoration of Kus-kus-sum,” states Chief Councillor Nicole Rempel, K’ómoks First Nation. “Restoring this cultural and historically significant site is a vision KFN shares with Project Watershed and the City of Courtenay. KFN’s interest in the site is largely based on its strong cultural significance. At the time of contact and settlement, there were tree burials on the Dyke road side of the river just downstream of Fields Sawmill. While there is some documentation of these burials in various writings and oral history, they are not extensively documented, and may have been extensive along the lower part of the river. Although non-binding, the initial agreement formalizes the partnership between the three parties in relation to Kus-kus-sum and outlines the issues that need to be addressed in further documents. It sets October 20th, 2019 as the date for entering a binding agreement that will detail the nuances of purchasing, restoring and managing the property collaboratively. “Working collaboratively with Project Watershed and K’ómoks First Nation has been an essential component of this project, and as we move forward through the formal agreement process we look forward to building on this strong relationship with our project partners,” states David Allen, City of Courtenay Chief Administrative Officer. “This project has been met with widespread community support,” reports Paul Horgen, Chair of Project Watershed. “Our community fundraising target was set at $500,000 and we are already more than halfway there.